Chalk style paint for furniture is a popular choice these days. And an abundant one! 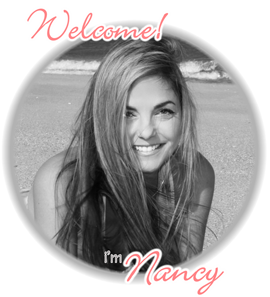 There are many brands to choose from and I’m going to help you navigate the chalky paint waters below! Hello friends! Continuing the “back to basics” series today and I’m talking about all things chalk style paint. Last week for the series, I shared a post and video on “How to Dry Brush“, in case you missed it. 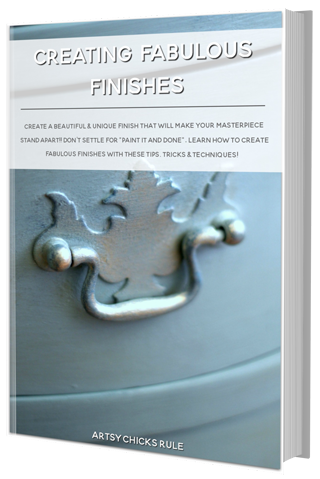 If you are a busy furniture painter or love making over your own pieces, you are in the right place. 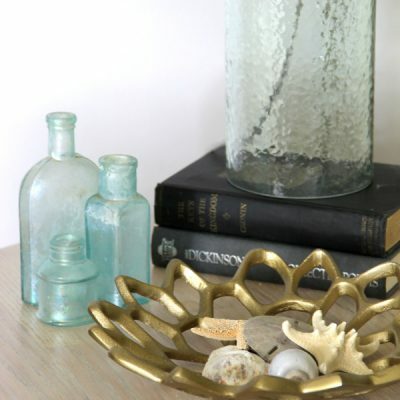 If you love to repurpose old finds or just about anything crafty, you are in the right place. 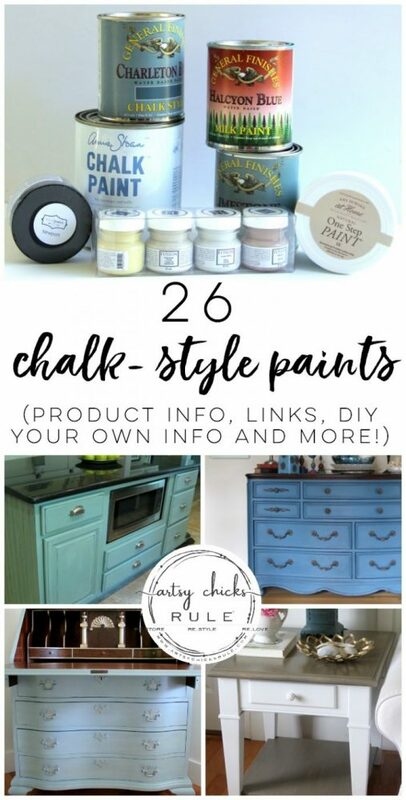 ;) Chalk style paint for furniture….and pretty much anything else you want to paint. Lamps, trays, lampshades, metal, baskets, and more. 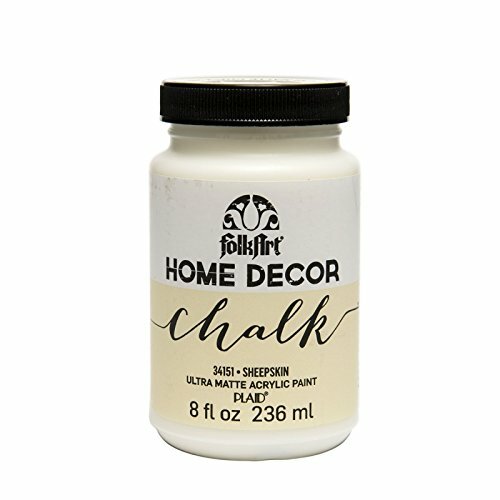 I have used quite a few of the chalk style paints I’m sharing below. 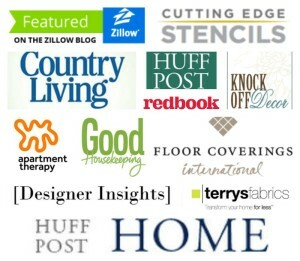 I used them on dressers, night stands, tables, picture frames, crafts and more. I hope this will be a nice comprehensive list for you in case you are confused about the different brands, what they do, where to buy and what all they offer. Or maybe you don’t even know some of these brands yet. Love painting furniture? Then this list is a great starting place for you. Most of these paints are “chalk” or “mineral”, natural type paints. Some are acrylic but with them having some of the same properties as chalk style paint, I included them. Some require a top/seal coat, some do not. I’m not really going to talk about prep required for each because I believe all paints require some amount of prep work. Whether it’s just cleaning off grime, dirt and dust or sanding a super shiny surface, both are considered “prep” in my book. Each individual piece you paint will require some level of prep, no matter which chalk style paint for furniture you choose. 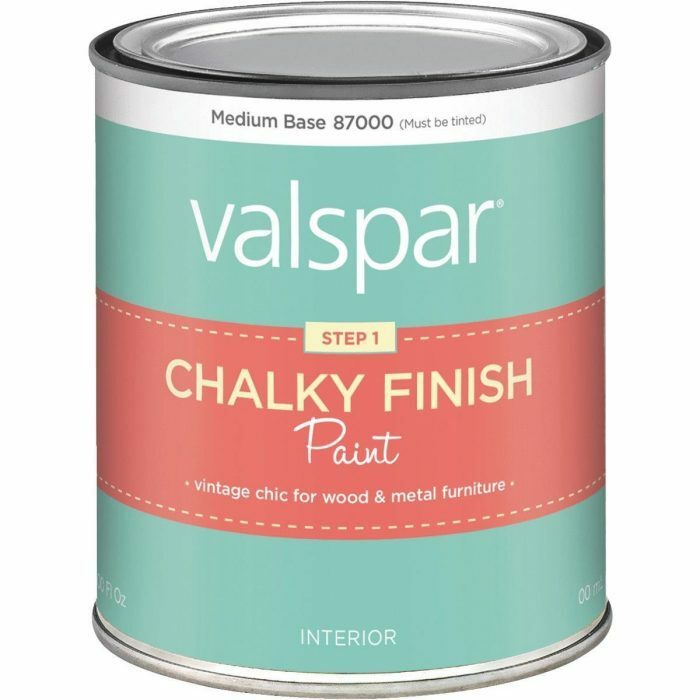 Let’s start with the main chalk style paint for furniture (and more! ;) )…. She created this amazing paint and is the main reason (I believe) many of these other paints followed not long behind. 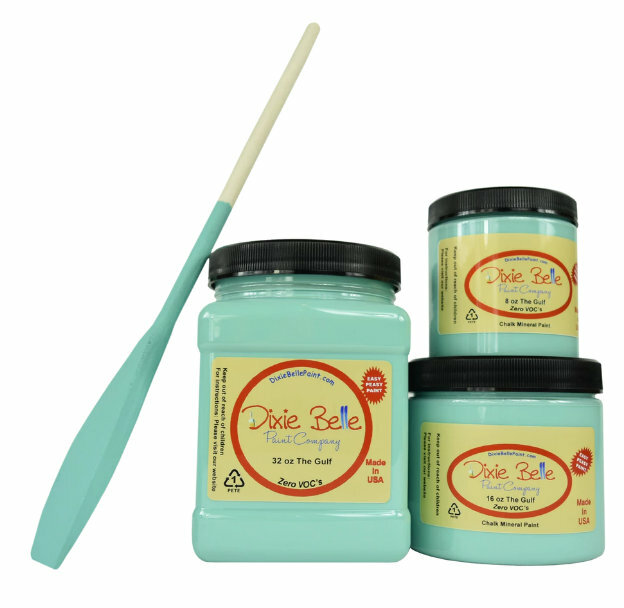 She IS Chalk Paint, the original creator of this popular product. Those who have been around my blog for any amount of time know that I am a huge fan. 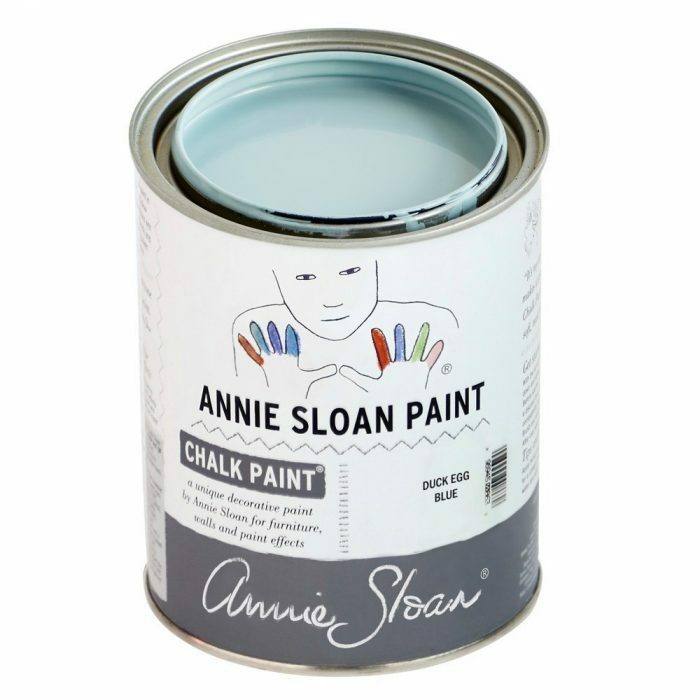 Annie Sloan Chalk Paint does require a top coat to seal and it can be a bit on the thick side. No worries there since you can thin it with water. I’ve used it to paint just about anything and everything, even upholstery. You can see projects of mine using Chalk Paint, here, here, here…and kitchen cabinets, here. You can order, here, and can find more info, here. I actually played around with this paint years ago! 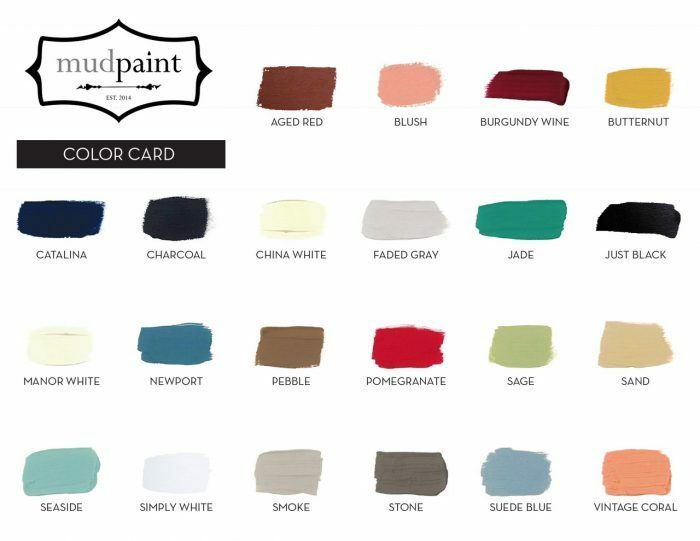 They have some great colors and I love that it’s non toxic and a natural chalk style paint for furniture. If I remember, I had good results with it but I just no longer really see it anywhere and don’t have a retailer near me. 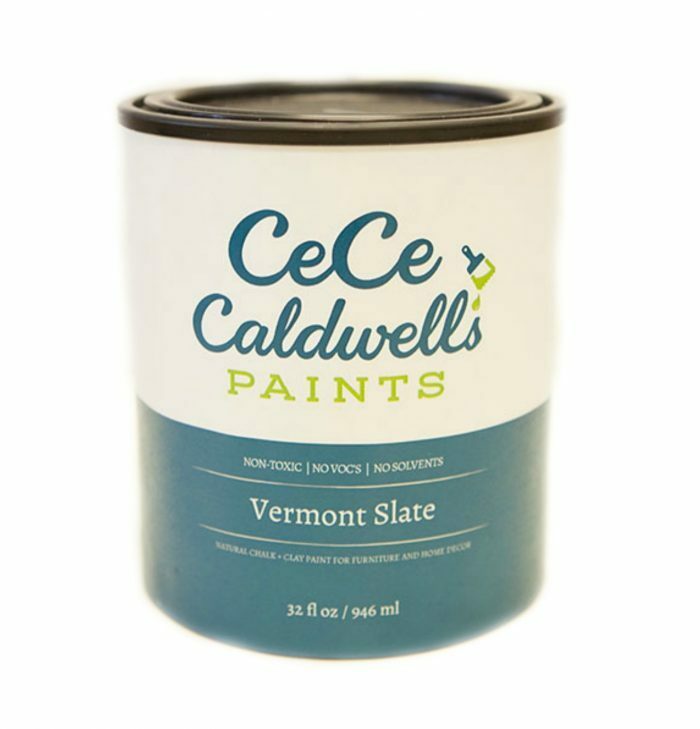 CeCe Caldwell paint is a “natural chalk-clay paint for furniture” and requires a top coat to seal. You can find more info, here. 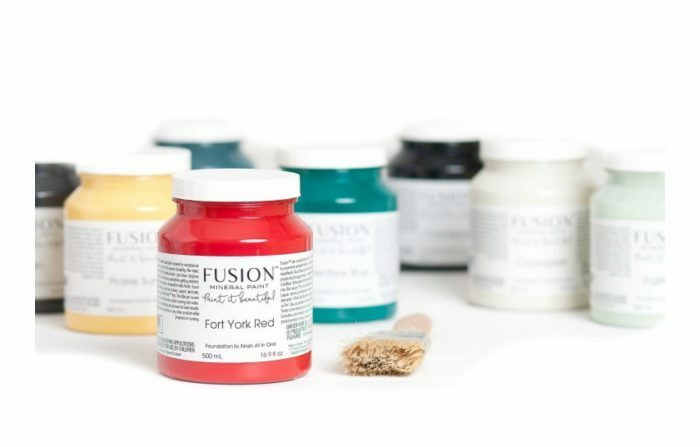 I really need to try Fushion Mineral Paint! Can’t believe I haven’t already. I got a nice sample pack at one of my blogging conferences but ended up giving it away in one of my craft giveaways here on the blog. 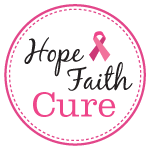 They have amazing colors and a HUGE array of complimenting products. Their paint is non toxic, virtually odorless and zero VOCs. And the big plus?? It does not require a top coat to seal. This is called mineral paint because the pigments are natural but it’s actually an acrylic paint. I did include it in the list, though, since it does have a few similarities. 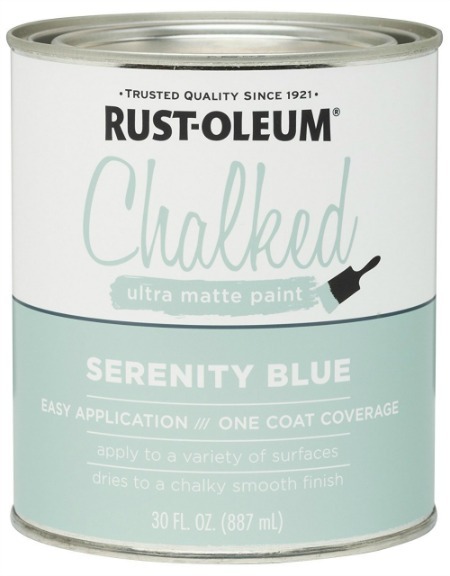 Rustoleum’s Chalked paint is one I’ve been using a lot of lately. Well, in the color “Linen” which is a nice shade of clean white. 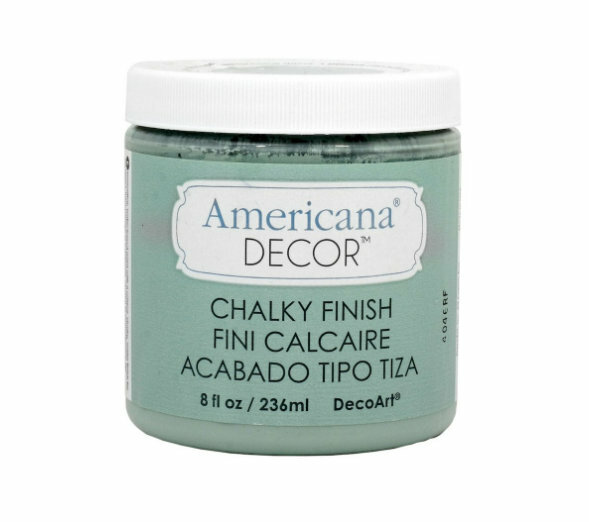 I find this paint to be very similar to Annie Sloan Chalk Paint and have found it to be a very good chalk style paint for furniture. It has low odor and does require a top coat. You can see projects of mine using these paints, here, here and here. You can order and find more info, here. 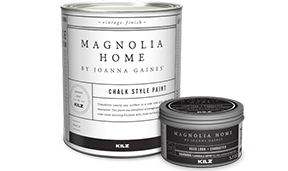 Joanna Gaines has a new chalk style paint for furniture out now, too. I haven’t tried it yet but apparently you can get it in your local Target. So that’s a plus! I do plan to give this one a go sometime soon. It also needs to be sealed. Other than that, I don’t know too much about this one yet. 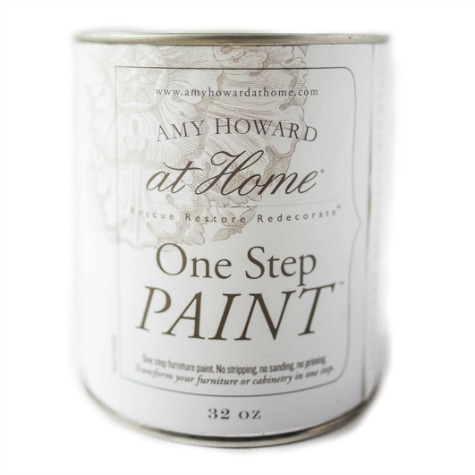 I have used Amy Howard’s One Step Paint (and a couple other products of hers too) and loved it. And it’s called one step paint because no sealing is required. She has a nice range of colors and other complimentary products, as well. You can see projects of mine with these products, here and here. This chalk style paint by General Finishes is still pretty new. 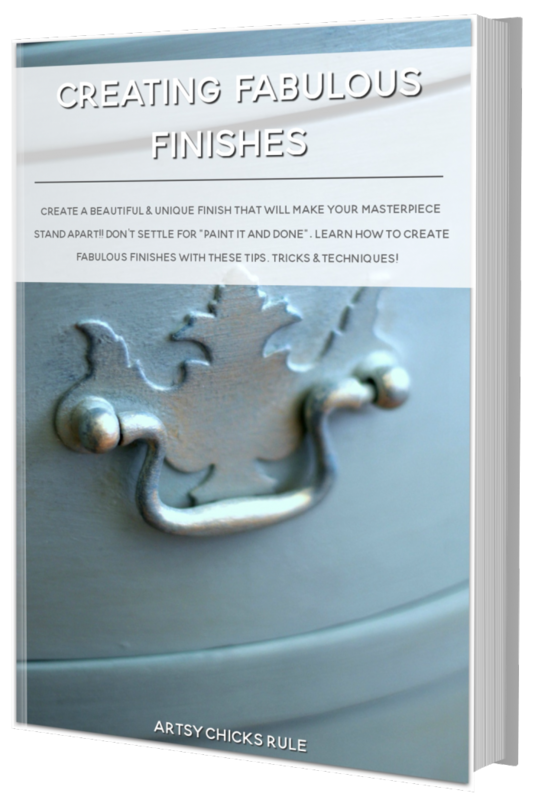 I was excited to see them create it as I’m a big fan of General Finishes products. Many of them! Stains, top coats, etc. They recommend 3 coats to seal this paint. You can see a project of mine with this product, here. You can learn more about this product, here, and order, here. I know, this says milk paint, but I told you I was going to give you a comprehensive list. 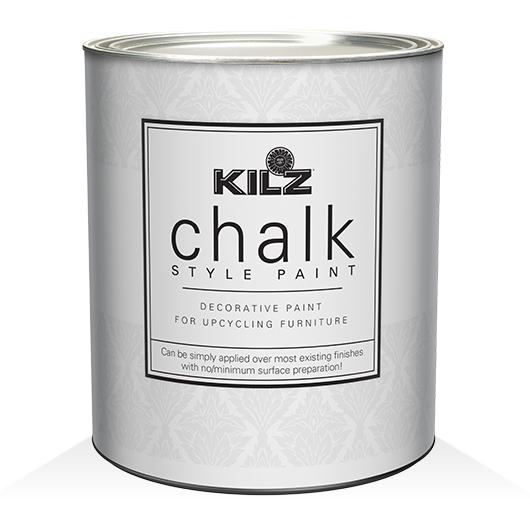 One full of any and all products similar to chalk style paint. This is one of my favorites and I use it a lot and it bears some similarities to chalk paint. Don’t let the “milk” in the name fool you, it’s not at all like milk paint. No top coat is needed but can be added for extra durability. You can see projects of mine using this product, here and here …and painted cabinets, here. You can find out more info here, and order, here. I really love this product too! They have great colors and the paint applies really nicely. This is another one that does not have to be sealed. You can see some of my projects with this product, here and here. You can learn more, here, and order, here. This is a new one to me. I found it while I was researching for this post. You can find out more, here. 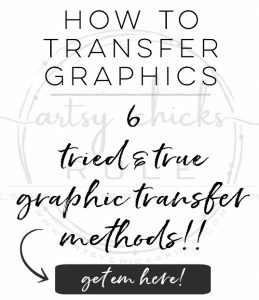 This is another one I don’t know a lot about but wanted to include it because I know it’s popular with quite a few bloggers. They have some amazing colors and looks like a nice range of products, too. You can find out more info, here. Another one I don’t know much about but I think you find this one in store, so that’s a plus. I don’t know too much about this one but have heard of it from time to time. I had a sample at one time and gave this one away too! Another one I see other bloggers use quite a bit. I personally haven’t so don’t know a thing about it. However, they seem to have a very wide range of complimentary products available. I’ve never used this one but there seems to be a wide range of colors available. You can find more info and order, here. This one can be found at Michael’s and I think The Home Depot, also. You can find out more info and order, here. 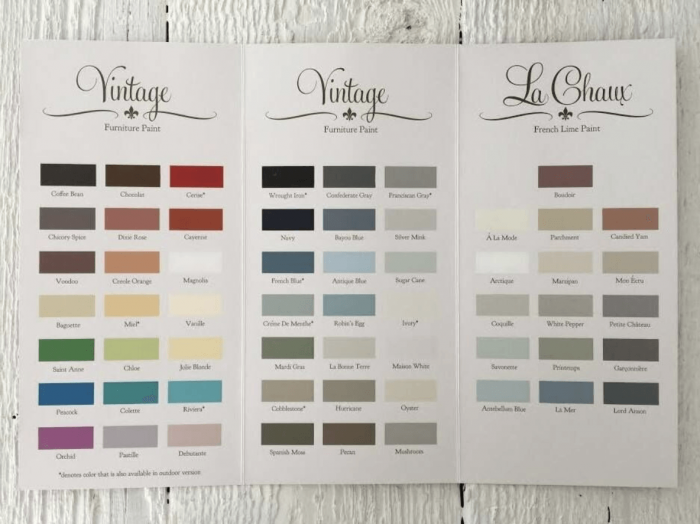 Here’s the remainder of chalk style paint for furniture that I found for you. I don’t know anything about these so thought I would just list the rest. FAT Paint – Chalk Style Paint for Furniture – find more info, here. 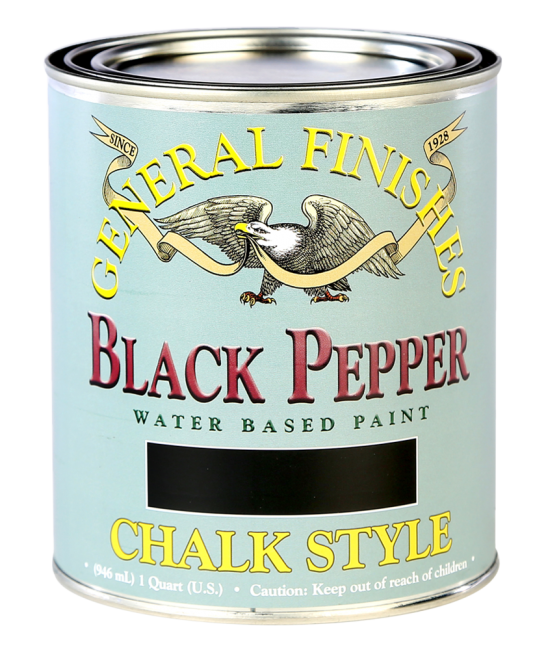 Renaissance – Chalk Finish Paint – find more info, here, order online, here. Belle Craie – Furniture Paint Made with Chalk – find more info, here. 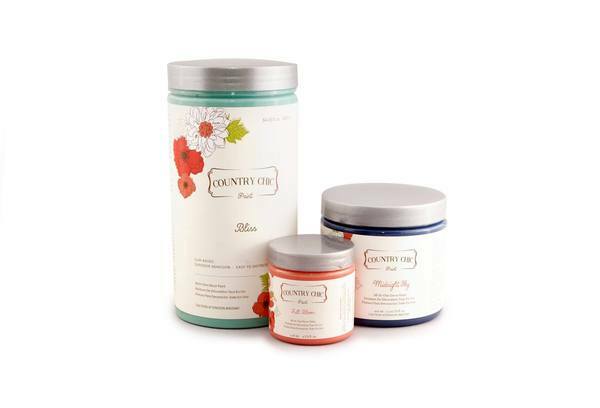 Shabby Chic – Chalk & Clay Paint – find more info, here. Heirloom Traditions – find more info, here. Miss Lillian’s No Wax Chock Paint – find more info, here. Waverly Chalk Acrylic Paint – find more info, here. PIY Furniture Paint – find more info, here. 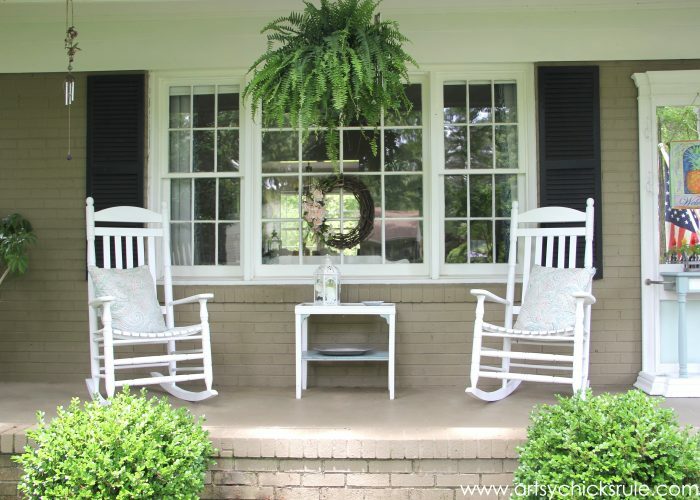 Wise Owl Chalk Synthesis Paint – find more info, here. ArtMinds Chalk Distressing Paint – find more info, here. But now you have plenty of choices. 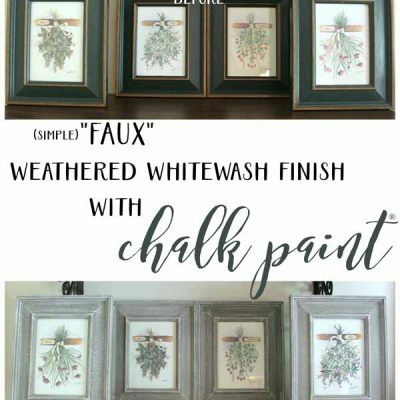 Okay, now that we’ve talked about chalk style paint you can buy, let’s talk about making your own DIY chalk paint. 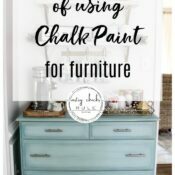 I tried my hand at making DIY chalk paint back in the day and had a few successes. However, it just really wasn’t my thing. I really loved the premixed paints I came across and now, with so many available, why would you mix your own? That is a big consideration because some of these paints can be pricey. Yes, there are many in all of these product lines but what if you want to use a specific one by say, Sherwin Williams? You can make your own in that exact color. I hope this list will be helpful to you. I am sure it will grow as new products come about. I’ll try to update when I come across them! Be sure to bookmark or PIN this post so you can come back to it often, as needed! I want to paint my kitchen cabinets white but I have no idea which paint to use. Do you have a favorite? Hmmmm, favorite is a hard word! ;) I love so many things about many of them. I originally painted my kitchen cabinets in Annie Sloan and actually have a 4 year update, here. But if I were to do it again, I think I’d go with one of the ones that don’t need a top coat because my top coat was amazing but did yellow just the slightest. Still enough to bug me. I haven’t used Fushion yet, but I might consider that one. 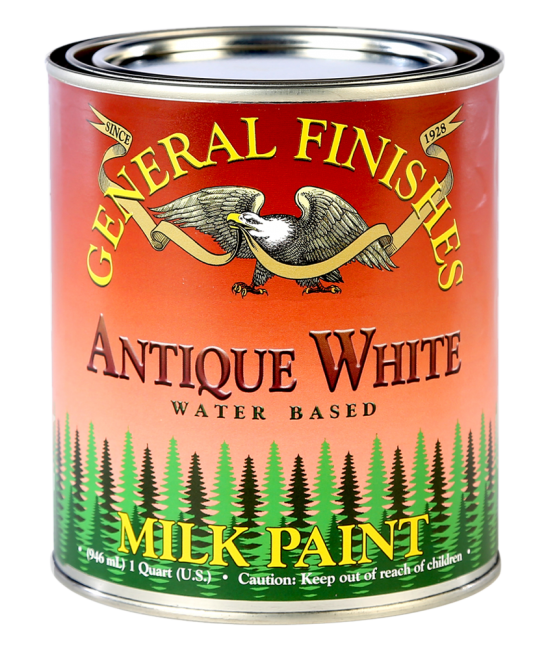 And I love General Finishes Milk Paint and would not hesitate to use that in the kitchen. I actually used it on my laundry cabinets and am very happy with it. You can see them, here. You forgot Debi’s Design Diary – DIY Paints. I bought them from my local retailer in Alaska and I love them. I use them on furniture and even paint on canvas. WOW!!! What a LIST! 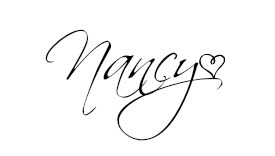 Thanks for sharing this, Nancy. I had no idea about some of those! FYI, I used the Americana Decor Chalk paint on my very first furniture project, my bedroom dresser. It really is a nice product, and I used there cream wax to seal it. Both have held up very nicely for almost two years now. 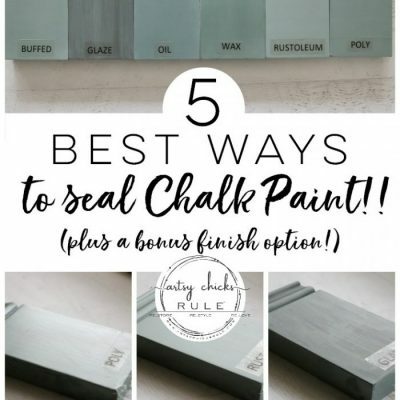 But, alas, that cost aspect get me, so now I make my own chalk paint using Christy’s recipe, and I love it just as much! I am a novice at this. 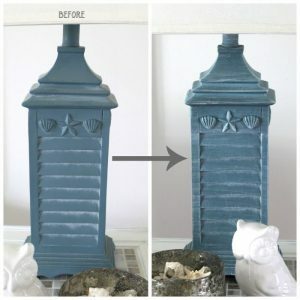 I am wanting to distress a lamp base I have. I want to use brown underneath a cream color. Will chalk paint work for this? Also, I read about wet rag distressing. I think this may work best. I would appreciate any suggestions you could give me.